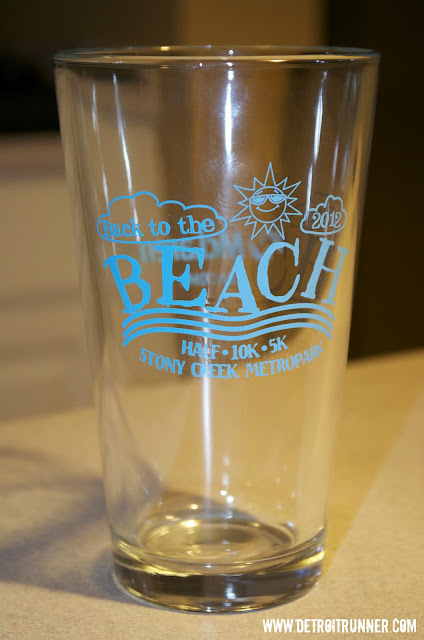 DETROIT RUNNER....: Another running book and another race! 4 miles on the schedule today.....done. Today was a good run. I'm starting feel like my body is getting back to normal again. I know it's probably going to take several more weeks to feel 100% so I think I'll keep running in the meantime. Ha! I got a new book that some of you may have read or seen on other blogs. I have seen this book as a giveaway. 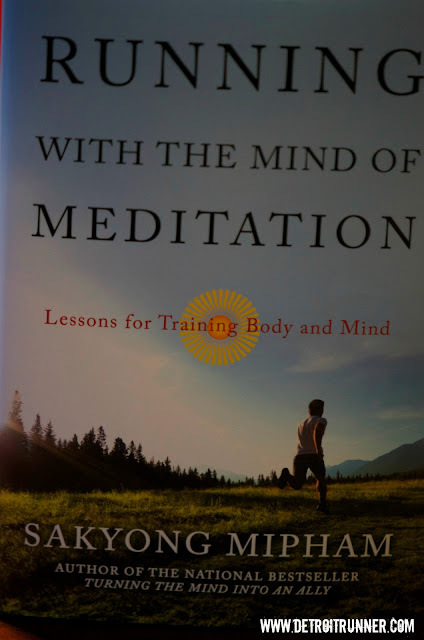 It's called "Running with the Mind of Meditation - Lessons for Training Body and Mind" It's written by Sakyong Mipham and I looking forward to reading this one. 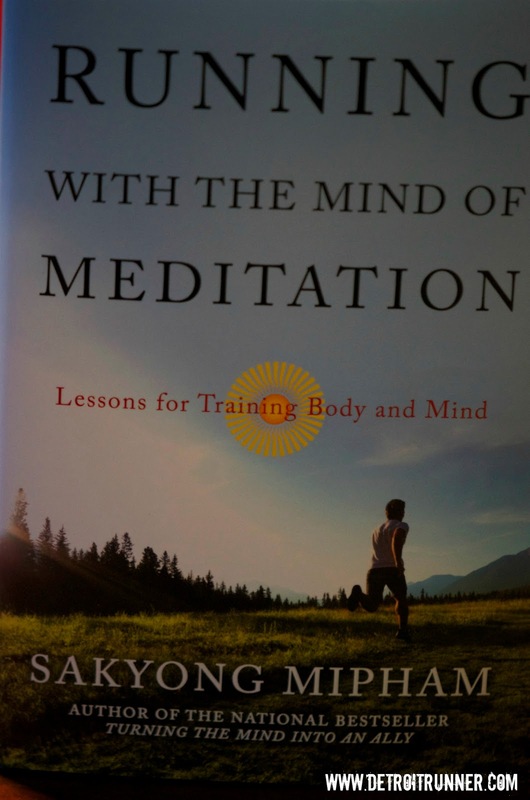 He's a nine time marathoner and a leader in meditation. Everyone can use some meditation, right? I also went to pick up my packet at Hanson's, the local running store. I'll be running, albeit slowly, the Back to the Beach Half marathon at Stony Creek Metropark. This is going to be a half road/half trail race. I have no time in mind especially since I have never raced on trails. 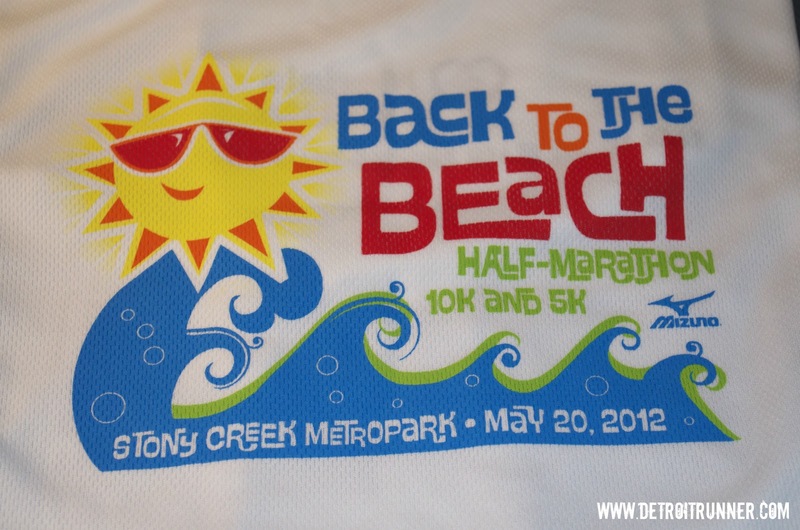 This is all about fun and it's only about four miles from my home which is the closest half marathon I've ever run. I'll be sure to do a complete race review when it's done. 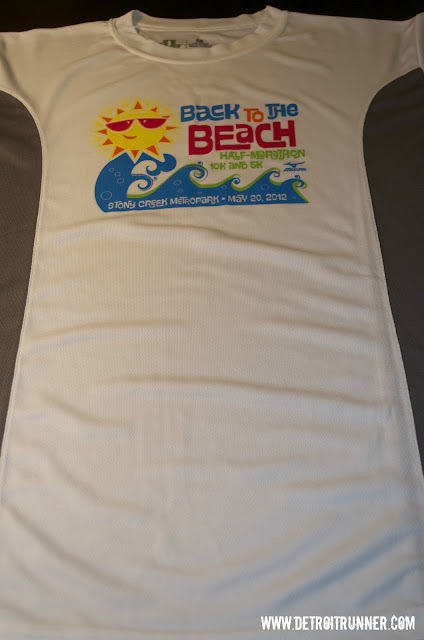 After this race, I'll be done with racing for a little while which I'm happy about because this race will mark race #4 over the half distance(three half marathons and a marathon) in the last five weeks. Gee - I wonder why my IT Band is tight? I'm tired! 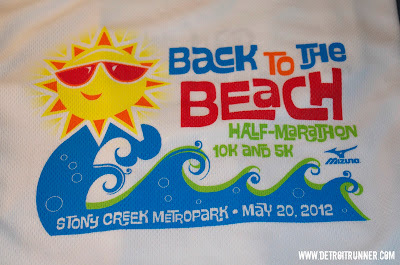 I can wait a little(5 weeks to be exact) to recoup from all this racing before I run the Solstice 10 mile run. I will probably do Back to the Beach next year. I wasn't sure if I wanted to line up another half the week after River Bank Run. I probably could have went for it, but obviously, like last year, they're full up again. I probably would have passed on Stony if I did River Bank - how was that race? I have to do that one year. That book looks very interesting and up my alley. You can borrow it when I'm done Mark. Sounds like a really interesting book. Let us know what you think.